Thank you 100 Layer Cake for the lovely feature! For our spring/summer elopement inspiration shoot we envisioned a color pallet that was bold yet romantic. 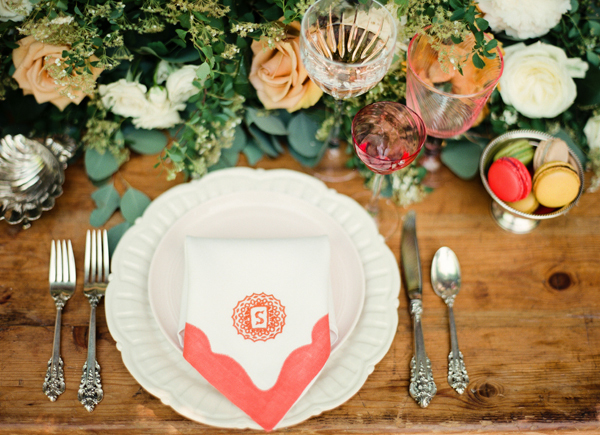 We opted for poppy red, blush, sage green, peach, orange & white. We wanted to evoke a fresh, natural vibe that felt organic yet elegant. We opted to hold the shoot in Central Park because this park hosts numerous elopements a year. So many people from near & far travel to New York City and specifically, to Central Park in order to say I Do. Our team settled on a chic Lihi Hod wedding gown from Gabriella Bridal Salon. The dress was romantic and the detailing of the neckline was breathtaking. Melissa carried a bouquet designed by Full Aperture Floral. The bouquet was filled with brightly colored flowers & tied together with silk ribbon. For the tablescape, we wanted it to feel like an intimate dinner party effortlessly thrown together with your best china, crystal candlesticks & monogrammed napkins. Henry & Co Design and Full Aperture Floral brought our vision to life. The dinner table was overflowing with lush blooms with a ‘just picked from the garden’ look, ornate silverware & stemware. Raspberries & macarons were set on the table as well. The cake was designed by Nine Cakes & we loved the simplicity yet boldness of it. Love the sleeves and patterning on her dress, beautiful! gorgeous!! i love the table decor… so beautiful and elegant. and that puppy is totally adorable! Superb! 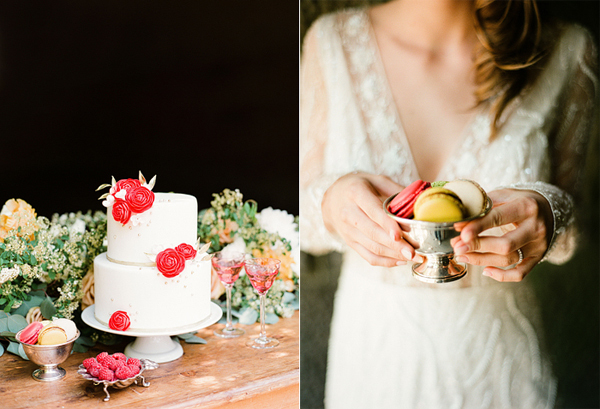 Perfection in styling and photography and love the location! What a beautiful dress and couple! I love the colors throughout.